There are a few candidates that could be drafted first from Texas A&M. From offense, you've got Trayveon Williams who's my number five running back and in the top-100 players in the draft conversation. Jace Sternberger is in a loaded tight end class, so I'm eager to see him at the NFL Draft Combine. 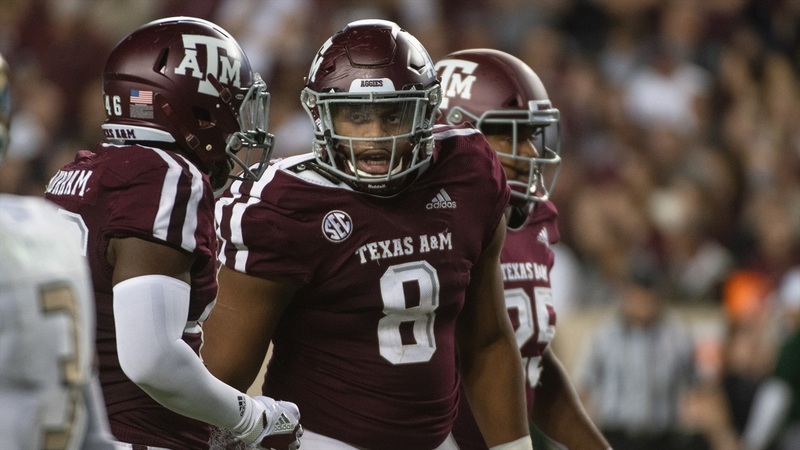 Kingsley Keke impressed me at the Senior Bowl and, coming into the year, I thought he was A&M's best defensive lineman. Daylon Mack really impressed me this season at the Senior Bowl. To view this content, you must be a TexAgs Premium or Varsity subscriber.